When trying to enhance and streamline your manufacturing process, you have to consider multiple factors. As a prime example, for custom CNC milling, you should rely on a reputable fabrication company to handle the job on your behalf. Not only will that save you time, but it will ultimately save you money. Also, this part machining process will ensure that you get a precision finished product based on your specifications. For custom aluminum milling, the part or component fabricated matches what you need to improve your manufacturing operations. That means that the machines and tools that you use to perform services or make to products operate optimally. As a result, you experience less downtime, which has a positive financial impact on your business. However, there are other advantages of using a professional fabrication company for precision part machining. As an example, when your manufacturing process gets performed by machines made with accurate parts or components, there is less of a risk of problems. For your employees who operate the machines, this reduces stress and frustration on the job. Not only will your employees feel more confident in their abilities, but they will also have a higher level of morale. With those things combined, your workers will become more dedicated and, therefore, more productive. 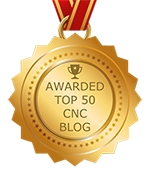 When making products for end users as part of your manufacturing process, advanced CNC machining services are also valuable. You get to create a higher quality product, which in turn, makes the consumer happier. The more satisfied the buyer, the more likely that person is to purchase products manufactured by your company again. As a result, your brand becomes more visible, allowing you to achieve a higher level of success and a greater amount of generated revenue. Today, manufacturers of all kinds depend on precision CNC machined products. For you, that means that competition is fierce. Because you compete for customers alongside your competitors, you have to improve your operations. Otherwise, your rivals will quickly take control, leaving you behind at risk of failure. With precision CNC machined parts and components, you get a leg up on the competition. For superior CNC machining services, you will never go wrong by turning to us at NexGen Machine. With years of industry experience and unparalleled expertise, we can produce an accurate product based on your specific needs. Please visit us online to learn more or call to speak with one of our team experts.